A cohort of newly graduated Australian nurses looks likely to be heading for Scotland following rule changes at the Nursing and Midwifery Council (NMC). Representatives of NHS Grampian recently attended a recruitment event in Perth, Western Australia, with the aim of finding potential registrants to fill band 5 adult nursing vacancies. Previously, overseas nurses needed 12 months' experience to be able to work in the UK but new NMC standards mean they can practise immediately, provided they pass the required competence and language tests. NHS Grampian is using the change in the rules to address its recruitment difficulties, and other employers could well do the same. The region's chief nurse, professional practice, workforce and education Jane Ewen said more than 100 Australian nursing graduates had been interviewed by the end of the recruitment event, which was held in collaboration with Western Australia’s Nursing and Midwifery Office (NMO). She said NHS Grampian was now working to support the nurses to pass the NMC's tests and hoped to have some new registrants starting by the spring. 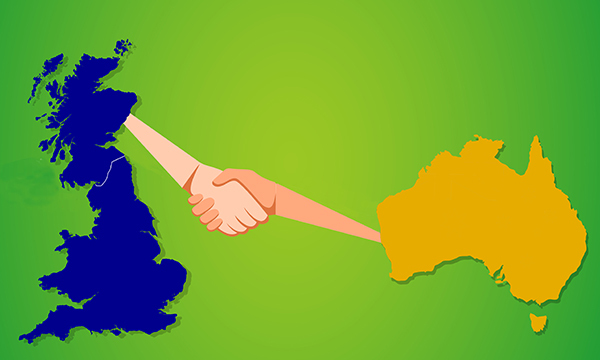 Ms Ewen said the relationship was a ‘win-win’ for Western Australia and the UK because of limited opportunities for graduate nurses in the state. There are too few government-funded graduate nursing places for the number of nursing graduates in Western Australia. The NMO's acting chief executive Tracy Martin said only 582 out of 1,657 applicants obtained a position in the state’s graduate placement programme. 'Some nursing and midwifery graduates become disheartened at the shortage of opportunities and the challenges of gaining employment as a novice nurse or midwife, leaving them at risk of abandoning the profession altogether,’ she said. Ms Martin said working in the NHS would provide the new nurses with 'invaluable international experience, but also a host of other life skills from living and working abroad'. ‘These experiences leave them well placed to take on leadership roles in the future, whether they remain in the UK or return home to Western Australia,’ she said.